For those that know me well, in a former life I was a member of the United States Air Force. So I have special place in my heart for supporting my fellow military families and more importantly, the children that miss their parents while they serve abroad. As a military brat myself, I understand all too well what it is to not have your dad, your knight in shining armour, there to rescue you from the many monsters that fill the very big world around you. If only there was a super hero to save the day. Step in Msgt. Benjamin Hemme and his wife with a new book created to assist children with bedtime fears. “The kids’ are scared. Monsters under the bed. Sleepless nights.” These are all phrases Msgt. Benjamin Hemme heard from his fellow Airmen whose significant others were struggling to maintain normalcy at home while they were deployed. While we tend to think often about the men and women fighting for our freedom, the struggles that loved ones at home, especially children, encounter sometimes get overlooked. This was quite evident by the number of children who were experiencing more bedtime fear than usual with Mommy or Daddy deployed. Recognizing a need to support fellow men and women in uniform and children everywhere Goodbye Monsters was born! “Goodbye Monsters” is the story of a little boy named Ben who is terrified of monsters. One day Ben is introduced to a magical creature named Zimbobo who has supernatural powers that keep all of the bad monsters away. All parents have to do is place Zimbobo in the scariest place and their little ones will wake up safe and sound with a smile on their face. 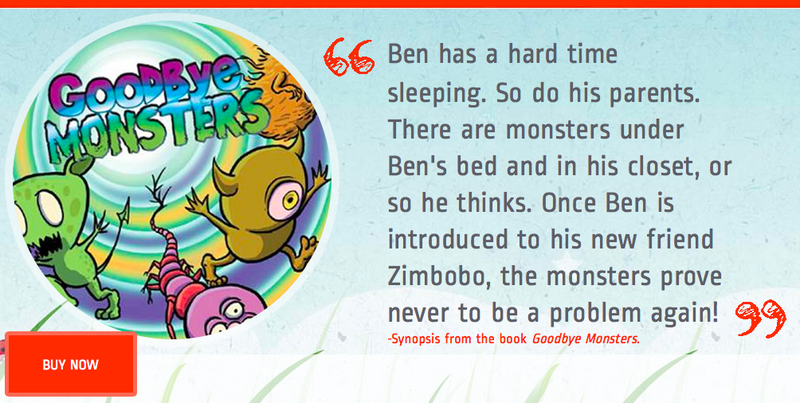 It is recommended that Zimbobo be placed under the bed or in the closet, but children know best where the monsters are hiding. “Goodbye Monsters” by Benjamin & Susan Hemme. ISBN 978-0-615-99704-9. Published by Goodbye Monsters, LLC is a hard cover 8.5” x 11” children’s book with a plush toy named Zimbobo that measures approx 9” in height and 6” in width retailing for $24.99. For more information please visit www.goodbyemonters.com. Rebranding! And we have content to share! You Have Never Seen Water Quite Like This Before!